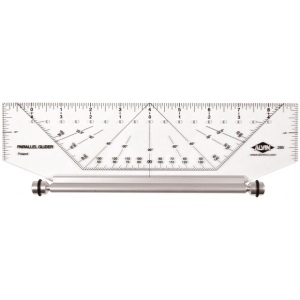 An easy-to-use instrument that combines the functions of a parallel straightedge triangle protractor T-square and compass in one. * One of the most useful and convenient aids for drafting drawing and nautical applications. 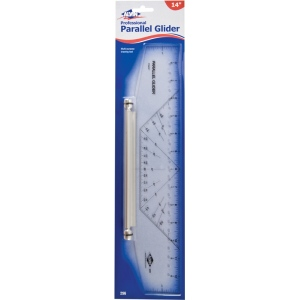 * Smooth gliding action to easily make parallel lines without twisting or turning under accidental pressure. * Features durable acrylic blade with printed graduations through-holes at ½" increments for drawing circles and a comfortable aluminum roller bar with non-skid rubber O-rings for a firm grip on any surface. * Individually blister-carded with detailed instructions included.